Fleet Buzz offers day return fares which are available for return travel only on the day of issue, and offer a small saving on the price of two singles. Child fares for young travellers, from 5 to 15 years inclusive, are available (except before 0900hrs on school days). Child fares are charged at approximately 70% of the adult fare. A Dayrider Gold ticket gives one day’s unlimited travel on Fleet Buzz and Stagecoach services for £8 Adult or £6.50 Child. A Family ticket (up to two adults and two children) costs £16.50. A Megarider Gold ticket gives 7 consecutive days unlimited travel on Fleet Buzz and Stagecoach services for just £21.50 adult or £16.50 child. * £6.70 adult, £5 child and £13.20 family – before 9am Mondays to Fridays. A Blackwater Valley Megarider ticket gives 7 consecutive days unlimited travel on our services in the Blackwater Valley area, including Fleet, for just £17.40 adult or £12.80 child. * bounded by Ancells Farm,QuettaPark, Zebon Copse, Mill Lane & Elvetham Heath. 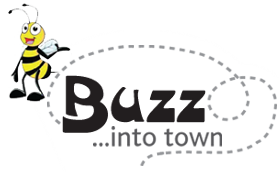 For regular travellers you can buy Buzz Cards, which give 12 single journeys for the price of 10, without any time restriction. These tickets are also transferable and can be used to allow journeys for accompanying travellers. Buzzcards will not be issued or accepted on service 30 between Zeben Copse and Basingstoke. Season tickets are also available for scholars and students in full time education. All Fleet Buzz tickets will be valid on Stagecoach services (and vice-versa) on common sections of route and between common points. Prices are correct from 27th April 2014.